The bboxx Guard house won a European tender of the Berlin Police force. With its round shape and elegant, solid materials, the bboxx Guard house blends perfectly into urban and natural suroundings. The inside surfaces were used to optimize storage spaces and placement areas. The 360-degree view is an important characteristic. All windows can be protected by blinds. The technical features include active ventilation, heating and lighting. 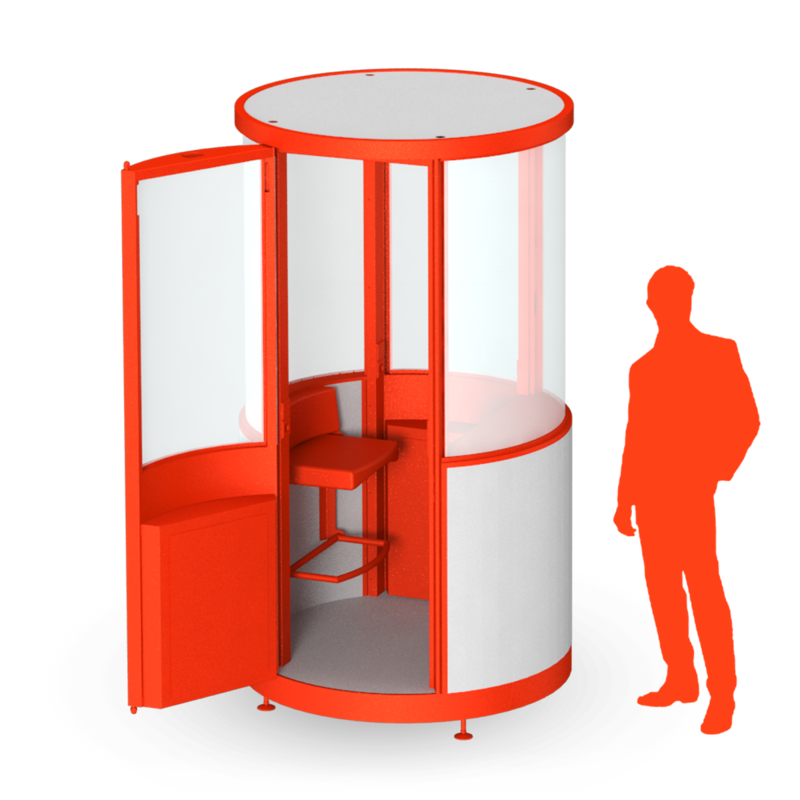 bboxx Guard house is a mobile pavilion to place your security staff in strategic positions. It provides entrance personnel, guards, custodians and wardens with an excellent view and sufficient, comfortable interior space, while maintaining an optimized diameter and height. All the materials used for the production of the bboxx Guard house are top quality and durable. The main components are concrete steel and stainless steel. Space-saving and weather-resistant, the bboxx Guard house can be set up in 20 Minutes. The net weight of the body is under two tons, so that transport procedures are as simple as possible. Just like all other bboxx models, the bboxx Guard house is delivered in one piece and fully mounted. The final assembly is completed on site in a few minutes. Reducing the joints to a minimum, bboxxes are suitable for the whole year round, and do not require any particular foundation or recruitment.